Category: Earrings. 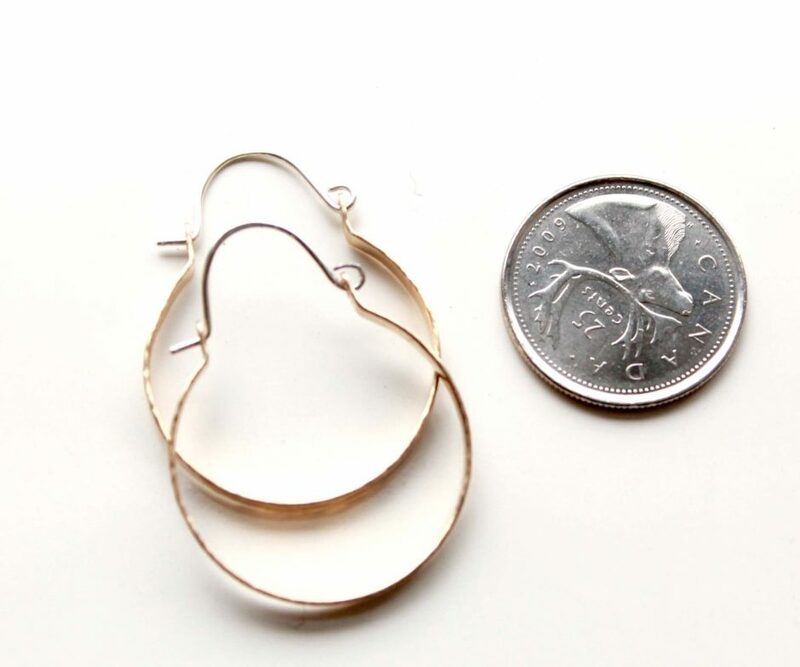 Tags: anniversary, artisan, back to school, birthday gifts, buy gift, Canada, celebration, cutom earrings, designers, earrings, fashion, fast shipping, for Her, gift packaging, gifts, gold filled, handmade, hoop earrings, jewelry, made by hand, made for you, made to order, mixed metal, online shopping, organic, small business, sterling silver, style, thanksgiving, Toronto, trends, unique jewelry, what to wear. 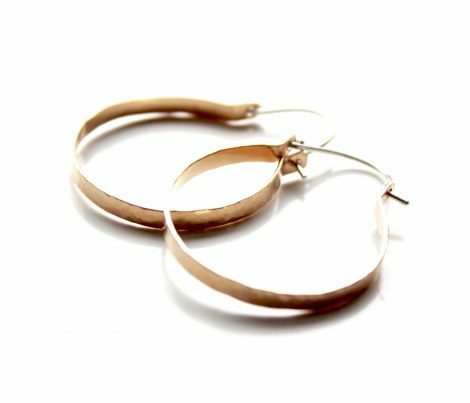 © Mixed metal hoop earrings. 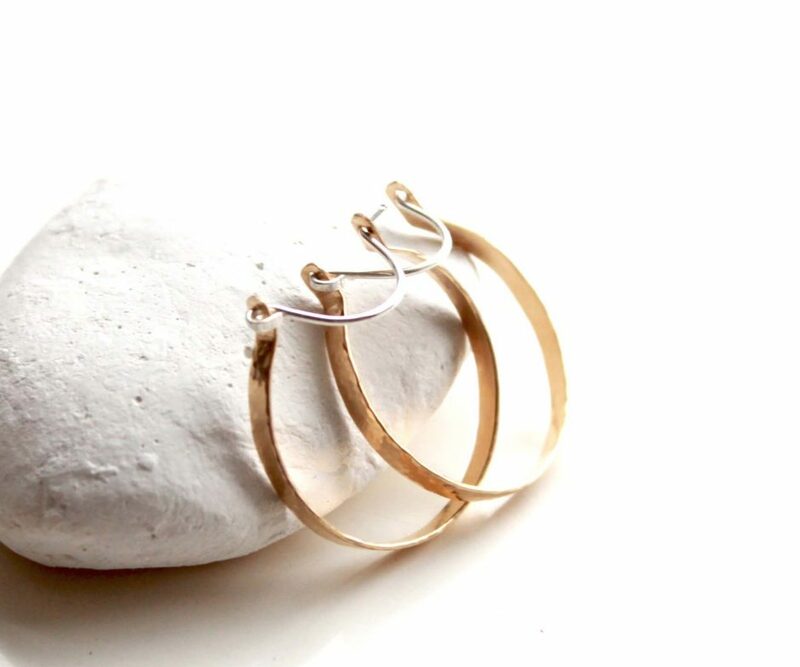 Gold filled hammered hoops with sterling silver ear-wires. 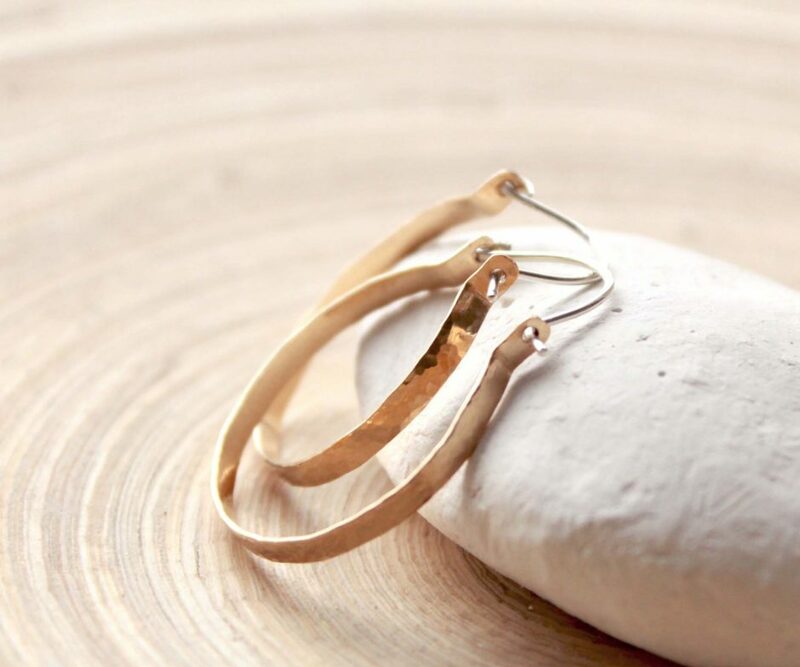 Gold and silver simple hoop earrings. Jewelry trends , simple and stylish gift for any occasion. 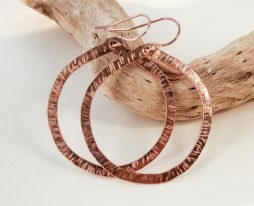 Artisan earrings made of gold filled and sterling silver wire. 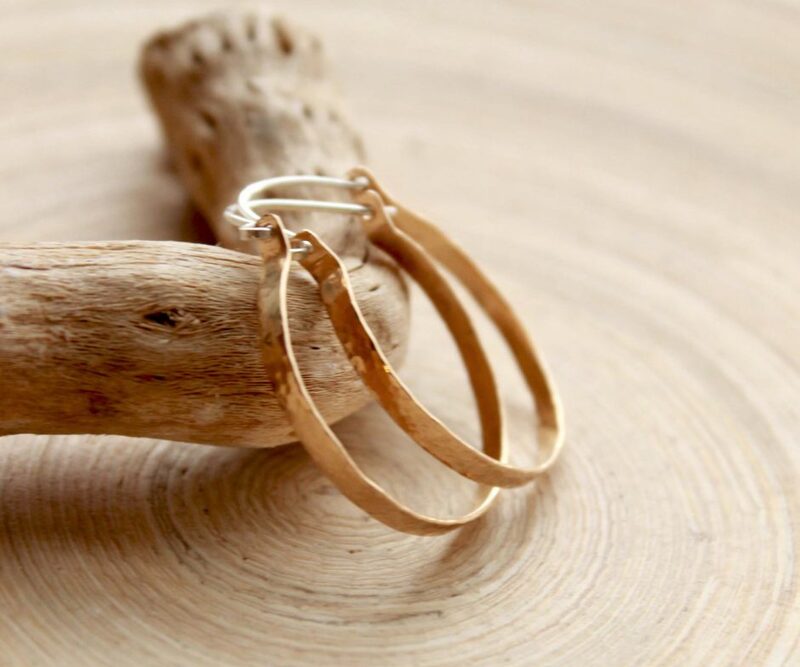 Gold filled hammered simple hoops with sterling silver ear-wires. 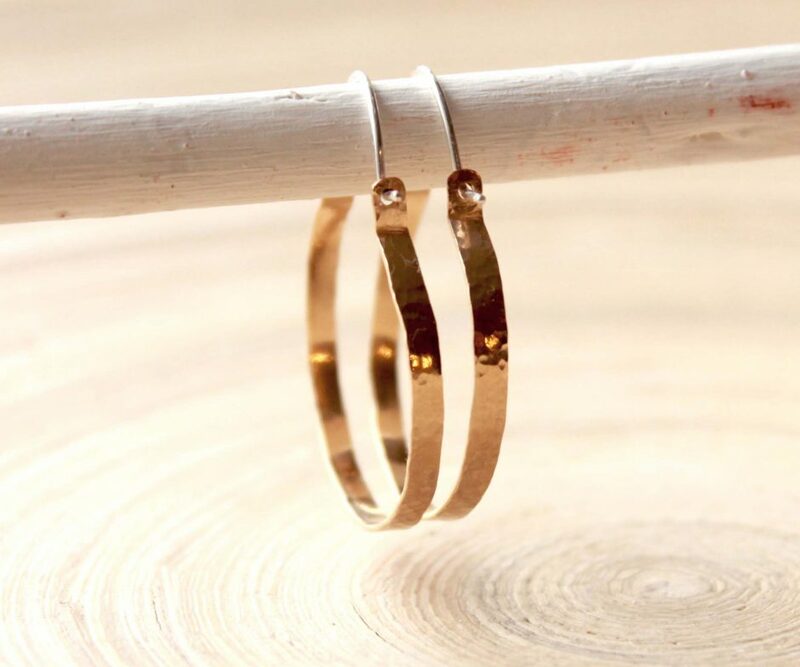 These gold and silver hoop earrings are a wardrobe must have! 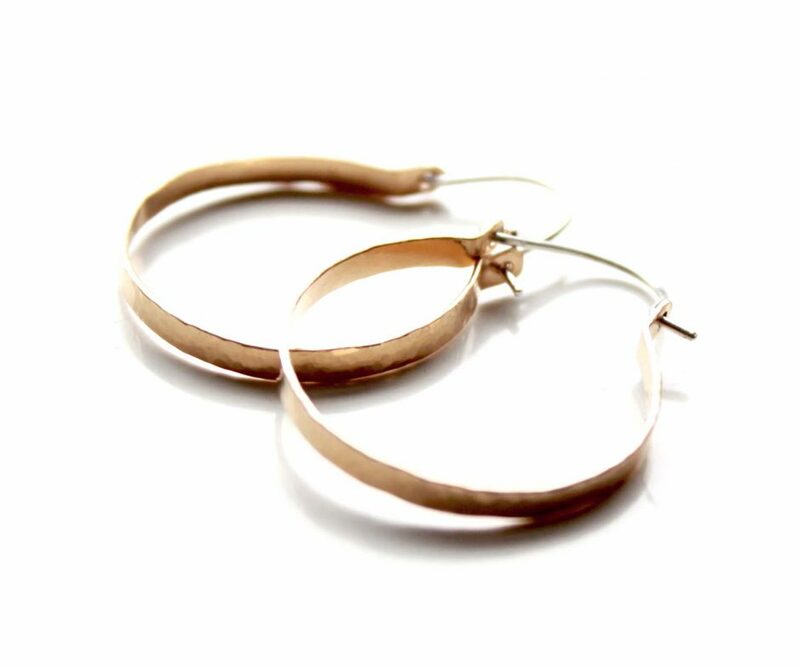 Comfortable, elegant and chic, the classic hoops go with everything. Earrings are available in gold only or sterling silver only by request, also I can reverse the gold and silver parts for you. © EverywhereUR. All photos,written material and jewelry designs are the intellectual property of EverywhereUR. All Rights Reserved. Handmade Horseshoe Necklace. 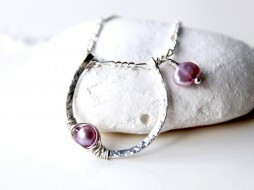 Silver filled Necklace with Horseshoe pendant and wire wrapped Radiant Orchid Pearl. Hammered handmade horseshoe. Made to order limited edition silver necklace. Materials: Sterling silver chain, silver filled wire, silver findings, radiant orchid color pearl, cultured pearl nuggets, dyed pearls. Item will arrive in a gift packaging. Gold filled Lucky Horseshoe Necklace with labradorite Gemstone. Hammered Handmade Gold filled Horseshoe Pendant with wire wrapped small Labradorite bead on a gold filled chain. Adjustable gold filled necklace. Made to order. 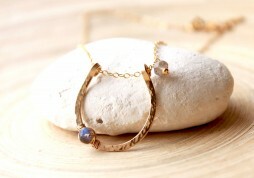 Materials: Gold filled wire and chain, gold filled findings, Labradorite natural gemstone rondelles. Herkimer diamond U top earrings, gold filled threader earrings. Modern jewelry – April birthstone gift. Newest jewelry trends. 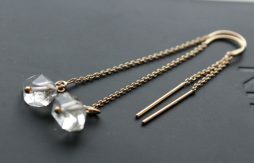 U threader earrings in 14k gold filled , 2.5″ long with Herkimer Diamonds. Herkimer diamond nugget crystals are natural raw shape, approximately 10 mm- 12 mm big, AAA quality.